Gartner recently released its 2018 Gartner Critical Capabilities for Analytics & Business Intelligence platforms which will going to be a strong resource for buyers of data management solutions in finding the products that fit best in their organizations. Critical capabilities are defined in terms of quality & performance. Rating is given to each vendor depending on the key features, quality of service they are offering to their clients. Over the last decade or so, the BI platform market underwent a fundamental shift away from IT-centric solutions to business-user-driven solutions. IT-centric platforms had a major focus on reporting which still require modeling effort. From business-user perspective, they were slow & complex to use. Thus, new tools arose with self-contained, in-memory engine with minimum to no upfront modeling requirement & strongly visual UIs. Today, decentralized analytics remains the most common use case for platforms, closely followed by agile, centralized BI provisioning and governed data discovery. 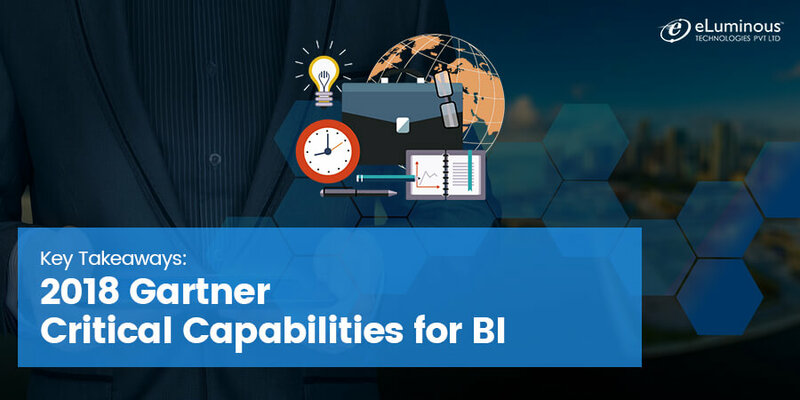 Although modern data analytics products are inherently being used by middle enterprises, BI & analytics products also have a wide range of technical capabilities. Based on our research, the marketplace for tools splits into two groups: one for basic & historical data analysis and the other for AI-driven advanced analytics. As I website possessor I think the written content here is real superb, appreciate it for your efforts. Excellent post on Business Intelligence Analytics.